Cartesian coordinates can be used to pinpoint where you are on a map or graph. A Cartesian Coordinate plane is essentially two number lines (one vertical and one horizontal) that cross at a fixed point called the "origin" - marked on the grid as point (0,0). Each of the individual number lines is called an axis. Using Cartesian Coordinates you can mark a point on a graph by indicating how far to the left or right and up and down it is from the origin (0,0). the vertical distance (up-down) distance is called the Y co-ordinate and is always written second. This is called an "ordered pair" (a pair of numbers in a special order). The numbers in the ordered pair are separated by a comma, and parentheses are put around them to distinguish them from other points. For example, in the diagram below, the ordered pair (4,3) is 3 units to the right of the origin and 4 units above the origin. The Cartesian plane is divided into four quadrants. These are numbered from 1 through 4, starting with the upper right and going around counterclockwise (see diagram below). In Quadrant I, both the x– and y-coordinates are positive; in Quadrant II, the x-coordinate is negative, but the y-coordinate is positive; in Quadrant III both are negative; and in Quadrant IV x is positive but y is negative. Points which lie on an axis (i.e., which have at least one coordinate equal to 0) are said not to be in any quadrant. Coordinates of the form (x, 0) lie on the horizontal x-axis, and coordinates of the form (0, y) lie on the vertical y-axis. The video (to the left) highlights the basics of the Cartesian Co-ordinate Plane, key vocabulary and explains quadrants and how to plot co-ordinates. A translation is a transformation of the plane that slides every point of a figure the same distance in the same direction. When a figure is translated it remains the same or congruent. A Translation Vector is a vector that gives the length and direction of a particular translation. 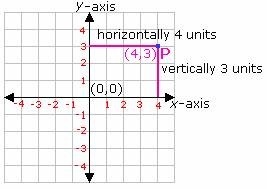 Vectors in the Cartesian plane can be written [x,y] which means a translation of x units horizontally and y units vertically. Note: Square brackets [ ] are used for translation vectors to show the difference between them and ordered pairs. When you look in the mirror, you see your reflection. In math, you can create mirror images of figures by reflecting them over a given line. When a figure is reflected over a given line, the resulting figure is called its Reflection. The reflection is the mirror image of the original figure and the line of reflection is the mirror. If your were able to fold the picture along the line of reflection, the original picture and its reflection would align perfectly. In the second video, ignore the section on "Reflecting in a Segment" (from the 4:40 to 6:46). Although interesting, and something that you will need to know eventually, you will not be tested on that concept in grade 8 this year. The remainder of the video is very helpful though. When a figure is turned about a given point, the transformation is called a rotation. 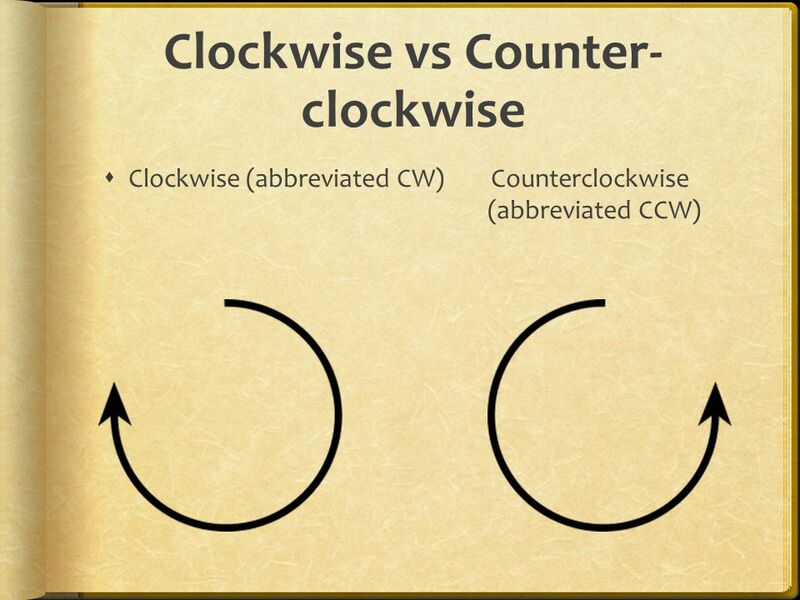 The figure is rotated counterclockwise or clockwise about a fixed point. The fixed point is called the "center of rotation." Note: For grade , the center of rotation will always be the origin (0,0). A dilation makes a figure larger or smaller, but has the same shape as the original (see figure to the right). In other words, the dilation is similar, but not the exact same as the original. All dilations have a center and a scale factor. The center is the point of reference for the dilation (like the vanishing point in a perspective drawing) and scale factor tells us how much the figure stretches or shrinks. point A (x,y)→ A′(Kx, Ky) if K is greater than 1 the original object will stretch and if K is less than 1 the original object will shrink. To dilate something in the coordinate plane, multiply each coordinate by the scale factor (K). This is called mapping. C′ → (3x3, 6x3) or (9,18). The image will be 3 times larger than the original object. If the scale factor is 0.5, then simply multiply each of the original coordinates by 0.5. The image will be half the size of the original shape.